Noa has been too young to light the menorah herself, so her mom, Daniella, found a solution with a felt menorah. 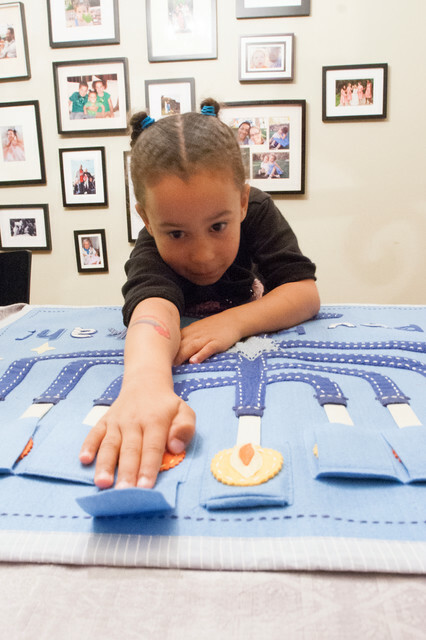 “It’s been just as important to ‘light’ the felt menorah as a real one,” Daniella says. The family has five menorahs, one for each family member. During the holiday, the Forneys usually have family and friends over on the first or last night.